Getting married on the Mountain or Gold Coast? Need a Wedding Cake? Look no further! 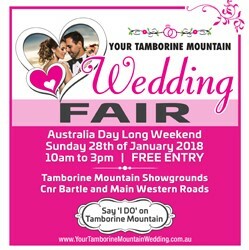 Come and see me at the Your Tamborine Mountain Wedding Fair on Sunday 28th January, 2018.